History lurches forward – “Let Freedom Ring!” we cry. And it does. But sometimes in one person the heartbreaking contradictions of our society – its imperfect dreams of freedom – darkly flourish. Vanderbilt Professor and author Daniel J. Sharfstein illuminates the life and times of General Oliver Otis Howard – leader of the Freedmen’s Bureau after the Civil War – who subsequently chased down and defeated Chief Joseph and the Nez Perce Indians in a bloody campaign in the Pacific Northwest. A champion of freedom for some thus championed its end for others. “One of the epic tales of American history, rendered by a master storyteller. Daniel Sharfstein breathes new life into the fascinating figures at the heart of the Nez Perce War,” writes author Karl Jacoby. Today – on the release date of Thunder in the Mountains – Dan is kind enough to answer some questions at Bacon. He’ll be reading from his work and answering questions at Parnassus on Thursday, April 6th at 6:30 p.m., and I hope to see you there! “Oliver Otis Howard thought he was a man of destiny. Chosen to lead the Freedmen’s Bureau after the Civil War, the Union Army general was entrusted with the era’s most crucial task: helping millions of former slaves claim the rights of citizens. He was energized by the belief that abolition and Reconstruction, the country’s great struggles for liberty and equality, were God’s plan for himself and the nation. To honor his righteous commitment to a new American freedom, Howard University was named for him. Howard’s plans for redemption in the West ran headlong into the resistance of Chief Joseph, a young Nez Perce leader in northeastern Oregon who refused to leave his ancestral land. Claiming equal rights for Native Americans, Joseph was determined to find his way to the center of American power and convince the government to acknowledge his people’s humanity and capacity for citizenship. Although his words echoed the very ideas about liberty and equality that Howard had championed during Reconstruction, in the summer of 1877 the general and his troops ruthlessly pursued hundreds of Nez Perce families through the stark and unforgiving Northern Rockies. An odyssey and a tragedy, their devastating war transfixed the nation and immortalized Chief Joseph as a hero to generations of Americans. Hi Dan! 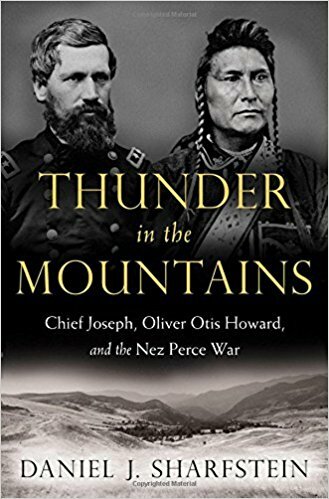 I’m so intrigued by Thunder in the Mountains, your second work of history. How did you get interested in this story? One of the main figures in my first book worked in the Freedmen’s Bureau in Washington during Reconstruction, finding jobs for newly freed men and women. During the course of my research, I found a series of letters between him and the Bureau’s head, Oliver Otis Howard. Most of the letters were from 1867 and 1868, but there was one letter from 1878 addressed to Howard in Portland, Oregon. It was odd to me that Howard would be on the other side of the continent, about as far away as one could get from the capital and still be in the U.S. So I looked into what he was doing there and found that as Reconstruction collapsed, he rejoined the active-duty military, went west, and led army forces in the Nez Perce War of 1877. In essence, he pivoted from championing African American civil rights to waging war against Native Americans. And the notion that he would engage in a brutal fight against Chief Joseph, himself a major civil rights figure – the tragedy of it stayed with me. There is a massive amount of archival material about the Nez Perce War all over the country. Oliver Otis Howard never saw a piece of paper that he didn’t want to fill with ink, and his aide Charles Erskine Scott Wood left hundreds of letters, diaries, poems, and even reminiscences that he dictated onto wax cylinders. After going to the National Archives and seeing the paper trail that the Nez Perce War produced, I had a new appreciation of the army as every bit the bureaucracy as the civilian parts of government. And because Chief Joseph was widely celebrated after the war, there are thousands of pages of oral histories of Nez Perce men and women, Idaho and Montana settlers, and army veterans who survived the war. But beyond the primary and secondary sources, it was important to me to see where the war was fought. Nez Perce families outran the army for three-and-a-half months and about 1,400 miles, many of them through the Northern Rockies. I spent a month going from Chief Joseph’s ancestral territory in the Wallowa Valley in the far northeastern corner of Oregon, through Idaho, Wyoming, and Montana. I spent a week on a horse in the Yellowstone backcountry, riding in an area where the Nez Perce families had gone. Seeing Nez Perce country, the canyons and rivers and cliffs and peaks, helped me understand how the war was fought and why the land was worth fighting for. Did anything you found surprise you? I was constantly surprised. Many people disliked Oliver Otis Howard – they complained that he was an intolerably cheerful, teetotaling evangelical. So it was a pleasant discovery to find that he was smart and self-conscious and thin-skinned and had a sense of humor. Another surprise: when Howard’s aide Charles Erskine Scott Wood talked about being at West Point in the early 1870s, he said the thing he liked best was the waltzes – and decades later, just thinking about the sensual pleasure of a Strauss waltz was almost too much for him to bear. But most of all, I was fascinated by how Joseph figured out how to influence federal policy even though he was 2500 miles from the capital and did not speak English. Whenever a federal official was nearby – an Indian agent, a cavalry officer, or a Congressman home on recess – Joseph would approach and make his case for keeping his land. They always told him they had no power to help him. Even so, time and again, Joseph’s claims were reopened and revisited. The federal bureaucracy was getting big. It was developing the power to intervene in individual lives to an unprecedented degree. But Joseph discovered that policy-making in a government that was split among so many authorities – federal and state, legislative, executive, and judicial branches, among various overlapping and competing agencies – could be surprisingly responsive to outside voices. It was responsive to him, and then responsive to his opponents too. American power had a fluid core. You’re a law school professor at Vanderbilt. How – and when – did you get so interested in history? I’ve always been interested in history. When I was little, I was always reading biographies – one of the first books I ever read was a 1978 children’s biography called Chief Joseph: Guardian of His People. My parents are doctors, and my contribution to conversations at dinnertime was always, “How did he die?” My parents thought I was interested in pathology, but really I wanted to know about their lives and their last words. Once I got to college, the first legal cases I read were part of my historical studies – nineteenth-century trials and opinions in which courts had to determine whether people were white or black. And in my first year of law school, even though I was convinced that I was going to practice law, I could not resist taking a class called Topics in Nineteenth-Century American Legal History. Historians, to me, just had the best stories to tell. Tell me about your first book! The Invisible Line is a history of race in America told through the multigenerational stories of three families who started out as African Americans and then at different points in time and in different parts of the South crossed the color line, assimilated into white communities, and became white. What classes do you teach at Vanderbilt? Are you able to bring to the classroom what you’ve learned as a historian – or are they completely separate endeavors? There’s history in everything I do at Vanderbilt. I teach courses on property law, American legal history, the legal history of race in the U.S., and the history of African Americans in Nashville. Even property law has a strong historical focus and a lot of old cases, from Chief Justice John Marshall on Native American property rights to a range of other decisions that amount to a tour of America’s lost arts and industries: whaling, fox hunting, floating logs downriver, salvaging steamboat wrecks. There’s a real tension between “popular history” and academic or scholarly work. How would you describe Thunder in the Mountains? I want scholars to engage with the book . . . and buy it for their parents. Really, it’s for everyone. My work is driven by ideas and is deeply informed by research. But I’m also committed to immersing readers fully in the experience of the moment. To connect readers to people and places, ideas and passions, the book has to be accessible. A good title is important. How and when did you think of yours? From the beginning, I knew it would be Thunder in the Mountains. 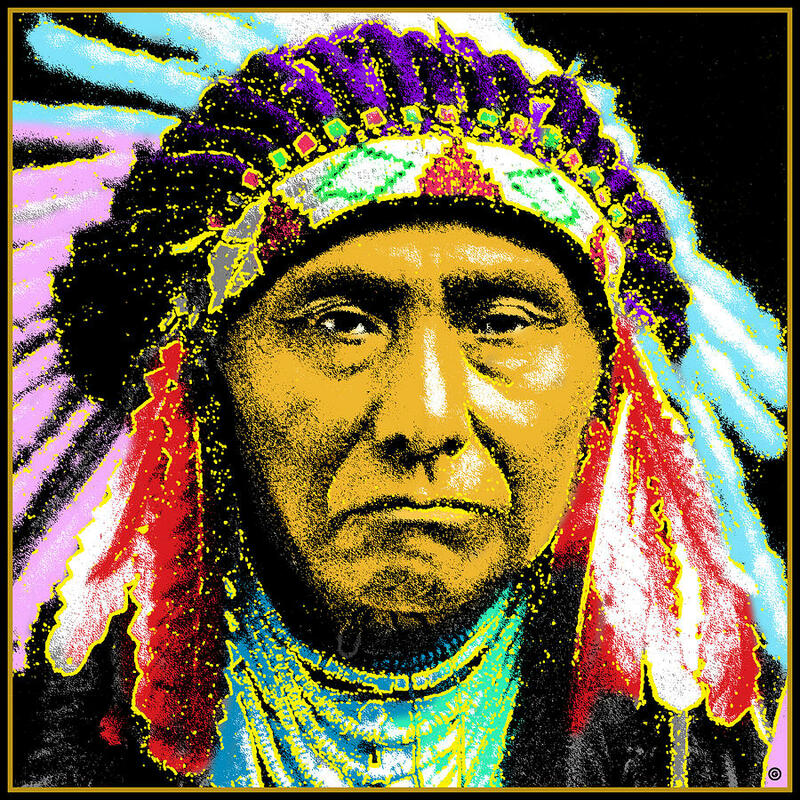 Chief Joseph’s Nez Perce name is Heinmot Tooyalakekt, which translates to Thunder Rolling in the Mountains or Thunder Rising to Ever Loftier Heights. I’ve had a harder time with other titles, though. For the entire time I was writing my first book, I thought it would be called Sun and Shade, after a beautiful photograph by the great African American photographer Roy DeCarava. But when it was time to design the cover, my press told me Sun and Shade sounded too much like a gardening guide. So it became The Invisible Line. You’ll be speaking in some incredible places in the coming months. 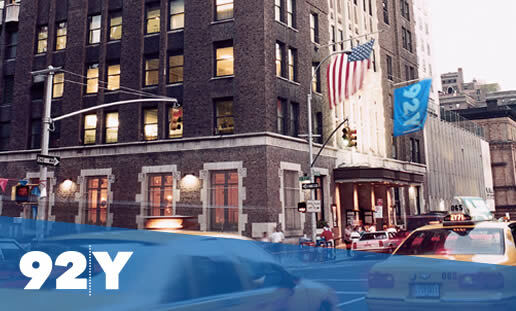 Like the 92nd Street Y! What are you looking forward to about book tour? It can take years to write a book — years when you’re alone at your desk. It’s really wonderful to be able to share the book with other people. With my first book, I had so many conversations I never could have imagined, conversations that taught me so much, challenged and inspired me. I’m looking forward to talking with people from all walks of life in every part of the country. Okay, back to the book. You can only meet one of your main characters, Oliver Otis Howard or Chief Joseph. I’m talking time travel. I know this is a cruel question, but which one? I think I’d have to go with Chief Joseph. Howard left so many clues about the kind of person he was – and he was a really interesting person. But Joseph is harder to pin down. He’s someone I’d want to spend hours and hours with. Howard’s aide Charles Erskine Scott Wood spent a day with Joseph after the war, and it changed him. He had been apolitical and apathetic, too young to understand the Civil War. Fairly soon after meeting Joseph, he left the army, became a lawyer in Oregon, and then embraced a range of important causes for nearly half a century, from railing against the conquest of the Philippines after 1898 to protesting the internment of Japanese Americans in 1942. To the end of his days, Wood said that Joseph had been the cause of his awakening. I have an unruly pile of books by my bed, fiction and nonfiction. A sampler: The Sympathizer by Viet Thanh Nguyen (I just finished it – such an insightful book about immigration, assimilation, and America in the ‘70s); The Turner House by Angela Flournoy (it distills the history of postwar Detroit into an incredibly powerful family story); Rose Gold by Walter Mosley (I’m counting on Easy Rawlins to keep me sane these next four years); Bernard Berenson: A Life in the Picture Trade by Rachel Cohen (a warm and fascinating biography of the man who introduced rich American families to great European paintings, by my favorite writer about art and culture); Brahmin Capitalism: Frontiers of Wealth and Populism in America’s First Gilded Age by Noam Maggor (a new, beautifully written history of how old Boston money won the West). I learned to read by reading biographies, but once I really started reading, I moved to fiction. I loved the Earthsea trilogy by Ursula Leguin, the Dark Is Rising series by Susan Cooper, the first three A Wrinkle in Time books by Madeleine L’Engle, From the Mixed Up Files of Mrs. Basil E. Frankweiler by E.L. Konigsburg. 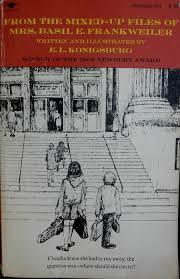 When I was a teenager, Call It Sleep by Henry Roth was particularly meaningful for me, and Invisible Man by Ralph Ellison inspired me to study race in America – I wanted to carry it around everywhere I went. And – what’s your next project?! After writing about the color line in the South and struggles over Native American rights in the West, I am starting to think about immigrants’ stories in the East. Like the first two books, the third project will explore the battles we fight over race and citizenship, what it means to be American and what we value as Americans, and what we expect from our government. Thank you so much for stopping in at Bacon today, Dan! For more on Dan’s background and prior work, click here. He received a 2013 Guggenheim fellowship to support his work on Thunder in The Mountains. A graduate of Harvard undergrad and Yale Law, he has twice won Vanderbilt Law’s Hall-Hartman Outstanding Professor Award. I had the great pleasure of meeting Dan last week and hearing about his work. Can’t wait to get my hands on this book! Great interview, Jennifer. I was looking forward to seeing Daniel at Parnassus on Thursday, but you covered so much I don’t know if I need to go anymore….JOKING! Definitely going. Fascinating story about two incredible people in American history. Hope I see you there!